What the USFWS don’t tell the citizens that pay their salaries (in their Conservation Management Plan or their discussions with the press), is that since 2007 (see images above), summer sea ice coverage has declined to levels their sea ice colleagues said would not occur until 2050 yet 2/3 of the world’s polar bears did not disappear as USGS biolgists predicted (which is what got the bears listed as ‘threatened’ under the ESA). They also don’t tell folks that the recent decline in population size recorded for the Southern Beaufort Sea was caused by thick spring sea ice in 2004-2006, not reduced summer sea ice. If there is much of substance in this document (pdf here) that differs from the draft (pdf here), it would take a page by page analysis to discover (I discussed an interview with polar bear biologist Mitch Taylor regarding that 2015 draft report here). However, I see that the Federal Register notice (pg. 2393, pdf here) does quote the 2015 IUCN Red List official global population estimate of 22,000-31,000, also listed several times in the final report (including the executive summary), which is an important addition (since the Red List assessment came out after the draft was published in 2015). Only the Washington Post article quoted the global population number but managed to get it wrong (“Scientists say about 19 populations make up an estimated 25,000 to 31,000 bears”). There is also, as the NYT article points out in the quote above, mention (on pg. 11 of the Plan) of the December UNFCCC Paris Agreement from December 2015, an event which also took place after the draft document was released. By the way, none of the media reports listed above provided direct links to the documents they are supposedly reporting upon (either the Federal Register notice or the USFWS final management report). 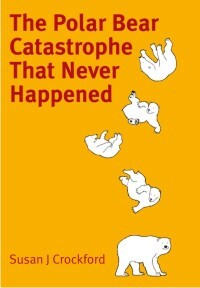 I have provided them here (see links to pdfs above), as is my usual practice. 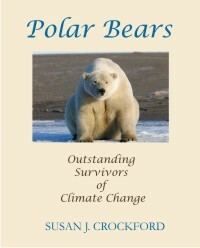 But if you want to understand why contrary to all of the predictions, polar bears are thriving despite recent declines in summer sea ice, buy Polar Bears: Outstanding Survivors of Climate Change (in paperback and several ebook formats. 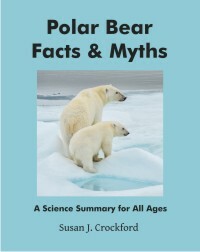 This entry was posted in Advocacy, Conservation Status, Sea ice habitat and tagged book, climate change, facts, Federal Register, global warming, management, polar bear, predictions, recovery plan, sea ice, survival, survivors, threatened, US Fish and Wildlife Service, us geological survey. Bookmark the permalink.